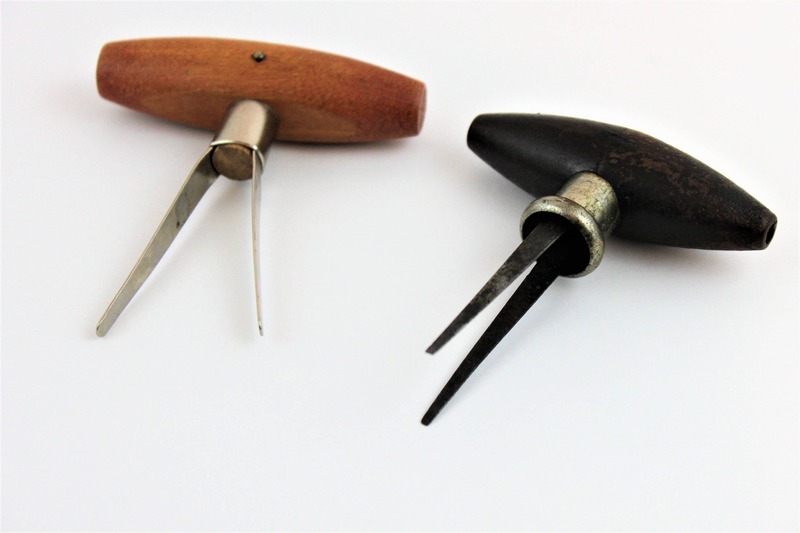 These are two cork pullers that are almost 100 years apart in age but have the same concept of removing a cork. 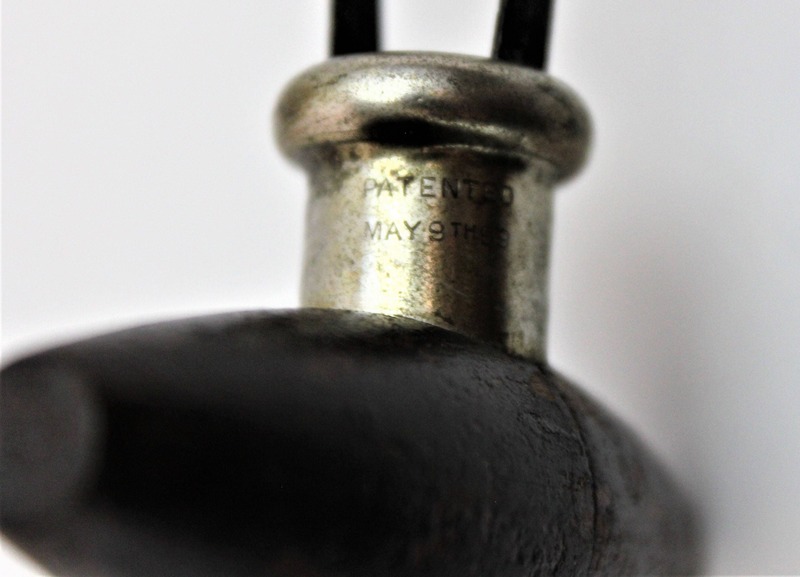 The dark handled one is a Converse prong puller Patented in 1899. 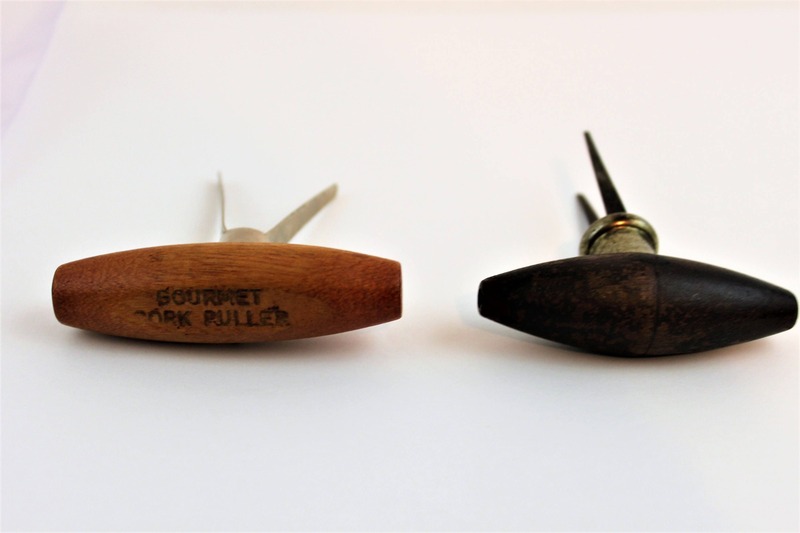 The light handled is a newer version from the 1990s Gourmet cork puller. 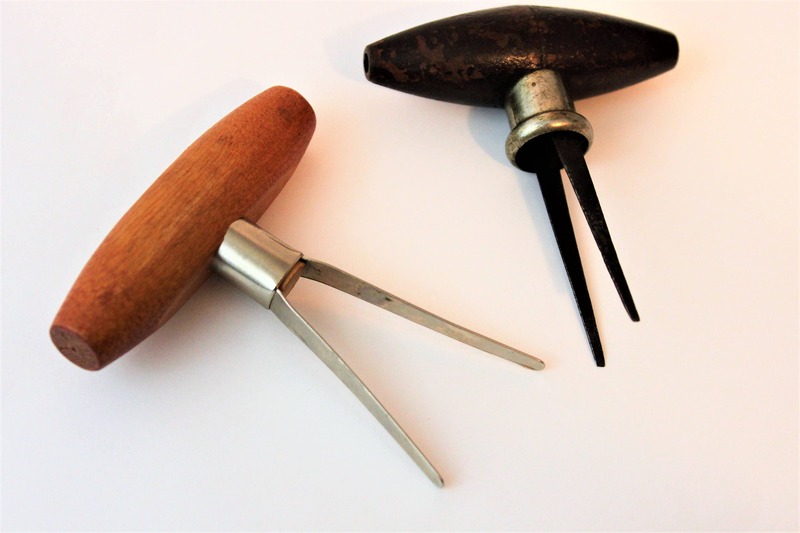 Nice gift for any wine enthusiast.